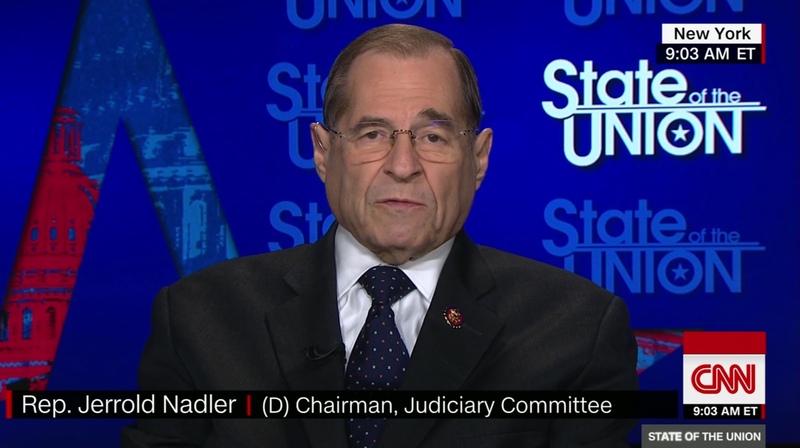 NY Democratic Rep. Jerry Nadler appears on CNN’s “State of the Union,” Apr. 14, 2019. CNN screenshot. President Donald Trump condemned Omar’s words in a tweet that also featured a video of her saying them in front of a Council on American-Islamic Relations conference in Los Angeles.